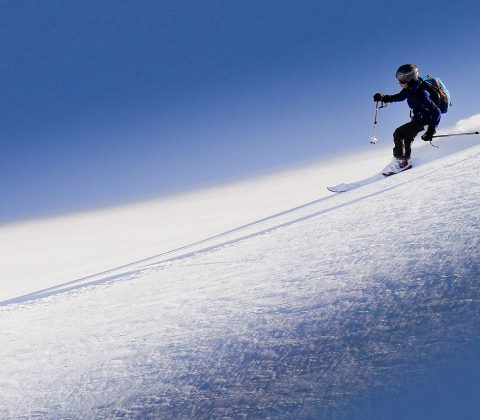 The Monte Viso Ski Tour is renowned as one of the finest multiday ski tours in Europe, circumnavigating the most famous peak in the Southern Alps. Tucked away at the back of the Queyras National Park, this is a wild and remote region with unparalleled scenery and great skiing. I would like to say how much I enjoyed everyone’s company over the last few days and pass on my thanks for being such excellent touring companions. Truly the highlight of my year. Had a fab time with a great group, many thanks to you and Al for all your help. I’ll be back! Always try to make any trip the best to date and that was easy on this one. Jon was spot on and Kev with his peak bagging ethic meant that by Thursday night we’d had four great days and the probability of returning to the valley on Friday morning. But no, another weather window and another peak. What a great trip, so thank you Alpine Guides and the team, especially Jon. The three of us are going to keep in touch, hopefully to hatch a plot for a trip next year. Bloody Amazing week. Really loved it. It was great to meet Kev and Jim and I thought that Jon was a really top quality guide. I felt very safe with him and he was very good at taking on board what we wanted to do whilst being sensible about the conditions. Thanks to Alpine Guides for organising such a great trip, thanks for Kev and Jim for making it so fun and thanks to Jon for putting up with us! I’ll be back. p.s. I never thought it was possible to put on weight whilst dragging yourself up so many mountains. Testament to the amazing food we got throughout the week! The trip went well. The weather was difficult to judge as we were right on the edge of a system of bad/good weather, but we still skied a top or a col on every day.The places we stayed at were great little places, better food than you would get in most hotels I think. Jon was easy to get on with and picked up some good tips from him. So a good trip, thanks. This is a wild and remote ski tour with superb scenery and few other people around. The tour is long and intricate, traversing the French-Italian border. At least one night is spent in an unmanned hut, so we’ll be taking food and stoves along. NB Stable weather and avalanche conditions are required to complete the circuit around Monte Viso, but good alternative tours are possible in the region in most weather and snow conditions. This is an intermediate to advanced level trip. To take part you should be at Fitness Level 3-4 and Tech Level 3 (see our Fitness/Experience guidelines below). You need previous multiday ski touring experience in order to join this tour. It is a strenuous and commiting route (where we need to carry food for an unmanned hut night) and includes 7-9 hour days with some big (1000m+) climbs, so you can expect to be skinning for 3-6 hours a day. Type of ascent: we use 100% skinning on this tour – approx 4600m of skinning up, 4600m of skiing down. Our initial hotel and meeting point is the Hotel Lacour in Mont Dauphin. The hotel is often used by ski tourers, offering comfortable accommodation, good access to the Queyras and Haute Ubaye regions, and is only 50m from the train station in Mont Dauphin. Rooms are provided on a twin (or occasionally triple) sharing basis, but If you wish to book a single room please let us know at the time of booking and we will confirm availability. Hotel details can be found on our Accommodation page. For overnights in the high mountains we will use mountain huts. This tour uses a mixture of small friendly huts and an Italian gite – very rarely busy, and offering great home cooked food. There is also one night in an unguarded hut which really adds to the special wilderness feel of this trip! For more info please read the Using Alpine Huts article which provides an overview of typical facilities, average costs to help you budget for lunches/drinks, and general info on hut etiquette. You should arrange outward travel on Sunday, arriving by 5-6pm latest in time for the briefing at your accommodation. Your guide will run through kit checks and safety routines, as well as hand out any rental equipment, before going on to discuss the current weather and mountain conditions and how these affect our plans. We’ll have maps and guidebooks of the area to show you, so if you’ve any further questions or last minute requests, then this is the ideal time to bring them up. AM Drive up into the Queyras. Skin up to the Refuge du Viso from L’Echalp. It’s a long skin up to the Refuge Viso from L’Echalp, but the journey is up a beautiful valley with fresh views constantly unfolding, as Monte Viso grows ever larger in the distance. The hut itself is modern and well equipped and amongst other things, sports a climbing wall in the dining room(!) and a reading area upstairs with a full sized sofa – there’s a nice wood burning stove too and good food in plentiful supply. Traversing round the north side of Monte Viso to the Quintino Sella Hut is a long day by any route, but one of the best days ski touring in the Alps. From the northern end, the views are astounding – sweeping right across the entire arc of the Alps. There’s then a long descent down toward Riale for lunch, before the final slog up to the col a kilometre before the hut – where we sleep in the unmanned winter room for the night, cooking for ourselves in this remote location. The traverse round the south side of Monte Viso is thankfully much shorter than the northern side the day before – but the route goes into some very remote terrain. After crossing a couple of small cols quite near to the hut, a long descent then follows, leading eventually to the forest and a nice picnic spot down in the valley floor. From here, the route heads down into the main Val Variata which we must head up for another 3 miles in order to reach the gite – either on foot, on ski or in a taxi depending on energy levels! Either way – a warm italian welcome awaits, with hot showers and plenty of excellent food. The route back into France starts with a long climb through lovely scenery at the head of Val Variata. This leads to the Col Blanchet, with more excellent views of the nearby Tete des Toillies, before enjoying a great north facing descent to the Refuge de la Blanche. This hut is one of the best in the area – with very friendly staff, hot showers again and more great food and drink. The route north from the Refuge de la Blanche crosses the Col de Chamoussiere and Col Vieux in order to make the final 1400m long descent back to our car at L’Echalp. This is a big descent, at first down open slopes, before dropping into extensive larch forests to reach the cross country trails in the bottom of the valley which take us back to the road. PM Drive back to Mont Dauphin for our final night in the hotel Lacour. Mont Dauphin, near Guillestre, is a convenient access point to the Queyras National Park, Monte Viso, and the Haute Ubaye regions. It is a quiet, unspoilt corner of the Alps, enjoying excellent mid season snow conditions and a huge variety of non glacial touring terrain, far away from the hustle of the main alpine resorts. Our hotel is just 50 mts from Mont Dauphin train station. The best way to reach Mont Dauphin in winter is fly to Turin (the nearest airport), then take a transfer bus to Briancon and then a train to Mont Dauphin, or alternatively fly to Grenoble, Lyon, or Geneva where bus and train connections link to Mont Dauphin (see details below). Check Sky Scanner flight comparison site for the best flight options. Transfer bus from Turin airport to Briancon (6 times per day Sat/ 4 per day Sun): Visit Linkbus website – linkbus-alps.com/en/ for tickets and timetables. On Saturdays Linkbus run 3 transfer buses to Briancon (11.00, 14.00, 17.00) and on Sundays 2 transfer buses (11.00, 17.00) – then train to Mont Dauphin. On Saturdays Linkbus run 2 buses to Briancon, leaving Grenoble Airport at 12.00 and 16.00 (book tickets on Linkbus website), then train to Mont Dauphin. NB They run no buses on Sunday for this route. For 2 or more people travelling together, airport car hire is also a cost effective option – NB you must have winter tyres or snow chains. Driving times to Mont Dauphin from the various Airports are: Turin 2.30hrs, Grenoble 3hrs, Lyon 4hrs, Geneva 4.30hrs (via Frejus Tunnel). Driving: from UK take the ferry or Eurotunnel to Calais/Dunkerque, then 12-13 hours driving on the French Autoroutes (budget approx 90 Euros each way in tolls). 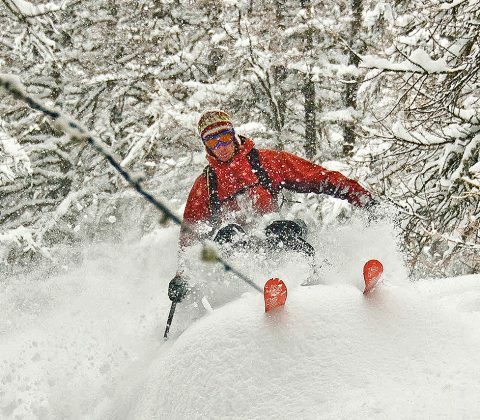 A rare mid-winter multiday ski tour exploring the Queyras Regional Park, staying in comfortable huts and gites with showers and home cooking each night. This is a beautiful area well away from the major resorts, characterised by accessible ski summits and lovely powder descents at this time of year.